It's almost holiday time Lehigh Valley! It&apos;s almost holiday time Lehigh Valley! Wow! I just realized that in 15 days Thanksgiving will be here. Even crazier is that in just 16 days one of our local radio stations usually turns to all Christmas music until the holiday has passed. I happen to absolutely love holiday music. It makes me happy. When I think about it and all the wonderful things Lehigh Valley has going on during this time, I am truly blessed to live and work in a region that has a town known as Christmas City, a.k.a. Bethlehem. 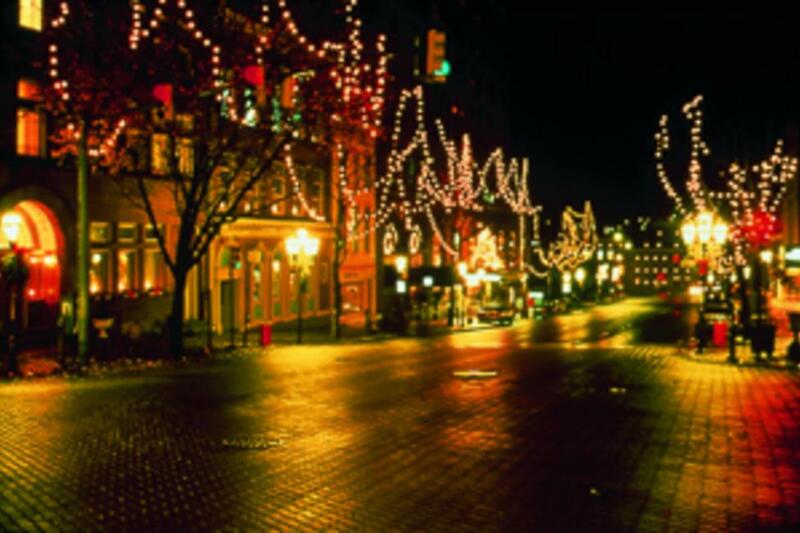 Bethlehem was christened by the Moravian Count Nicholas Ludwig von Zinzendorf on December 24, 1741 and dubbed Christmas City in 1937. The town is quite charming with its brick-laid sidewalks and a newly laid Moravian star in the middle of Main Street. There’s also the white lights in the trees on the north side and colored lights depicting the different ethnicities on the south side. You’ll find Moravian stars hanging from many businesses and homes, and white candles adorning the windows on the north side with sounds of holiday music coming from the trees. You can take a carriage ride around the town or take in some history by a costumed Moravian guide on a walking or bus tour. And, you can’t forget the live putz or the sounds of Bach at the Moravian Church. The southside brings us the authentic German-style tented Christkindlmarkt for your shopping and entertainment pleasures. All of this plus the quaint shops and eateries on both sides of town makes this the perfect spot to get you in the holiday spirit. I know the holiday season always seems like a hurried, exhausting time for most. But this year, why not take a step back in time? Explore some of Lehigh Valley’s hidden treasures. Do you have a favorite spot in Lehigh Valley to check out at the holidays? Have you ever visited during the holidays? Click here to find out some of the other holiday activities that are taking place around the region.